Painting Architecture invites viewers to contemplate the distinctions between architecture and painting. It is a group exhibition featuring the work of four Los Angeles-based artists, Kevin Appel, Sarah Cain, Andy Kolar, and T. Kelly Mason. These painters explore elements of architecture including volume, facade, public and private spaces, and utility. The artists consider the differences of presence and examine the tension between architecture's ties to function and paintings' rejection of practical usefulness. Kevin Appel's paintings explore the relationship between architecture and the painted image. Using photographs of tangled rebar as a ground on which to build his painting, he applies layers of paint that act as screens, compressing the perceived space and bringing to the forefront the inseparability of an artwork's medium and the final image. Andy Kolar's installations are miniature, self-contained rooms that house mysterious sewn fabric sculptural elements. 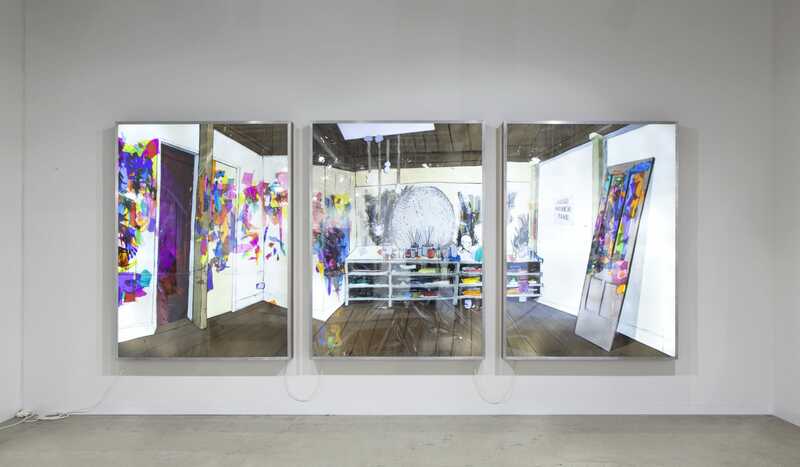 They explore the relationship between abstraction and figuration, painting and sculpture, alluding to actual objects but remaining ambiguous about their source. T. Kelly Mason's work depicts the studio of English artist, Francis Bacon. 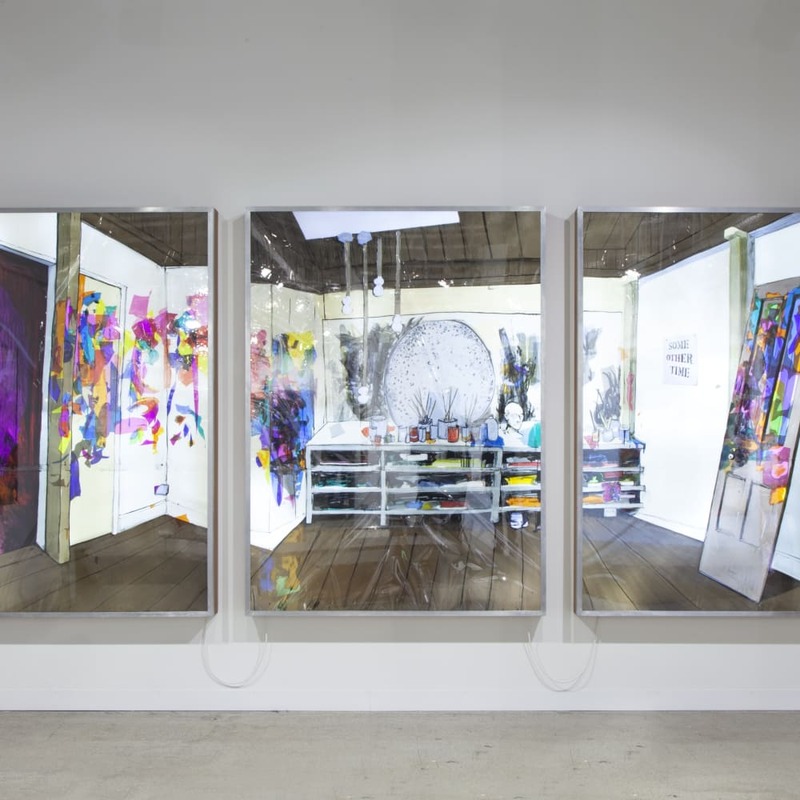 Working with transparencies mounted in light boxes that reference animation cells, advertising, and painting all at once, Mason takes as his subject the artist as celebrity and the search for meaning via the archive embodied by an artist's studio and its artifacts. Painting Architecture is organized by the Barbara & Art Culver Center of the Arts at UCR ARTS and is Curated by Tyler Stallings. UCR's College of Humanities, Arts and Social Sciences and the City of Riverside provide support for UCR ARTS programs.